You don't have to be a carpenter to incorporate one or more of our window seat ideas into your interior design. Window seats, like the one featured on this slide, provide a cozy retreat any time of the day or night. For added comfort, pile on the pillows and add a soft throw for those chilly evenings in the winter. In many rooms, the space that is right under a window is often considered "dead space", which means it's really useless. You can rectify this by creating a reading nook with a window seat. Even if the area you're thinking about using is small, a quaint window seat will perk up the space, adding character and functionality. This window seat enhances the view with gorgeous curtains, creating a lush retreat that just invites someone to sit down. French windows make the perfect backdrop for a window seat as well. Designing a window seat doesn't have to be difficult. There are numerous window seat designs that can be found both online and in your local home improvement store. Many of these are inexpensive to create, and if you are handy with a sewing machine, you can make your own cushions with pillows to match. Consider creating cushions, pillows, and curtains all from the same fabric, or coordinate pillows in a different pattern but with the same color scheme. This seating area is all about simplicity and architecture. The window seat is the primary focus of the room. Its sleek, clean lines provide an element of starkness, while the warmth of the wood floors and trim balance out the composite view of the entire space. For an area like this, the less you add to the window and the seat, the better. Note the absence of cushions, pillows, and curtains. The space makes a statement that needs no embellishment. Who says a window seat has to be in the living room or den? If you have a large enough bathroom to accommodate a seating area, why not incorporate this design into the room? Create a window seat that is an extension of the vanity area. Use fabrics that will withstand the moisture of the room. 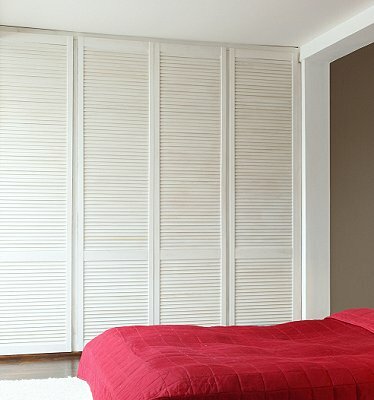 For added privacy, add small shutters that can be open or shut with ease. If you need additional storage in your child's room, why not place a window seat under one of her windows. Create an inviting area with the addition of her favorite stuffed animals and dolls. Remember to keep the window locked, however, so that she isn't tempted to venture outside. This is particularly important for windows that aren't on the first level! If you've built a room or rooms in your attic, a window seat is the perfect choice for filling those nooks and crannies created by low and/or slanted ceilings. This gorgeous window seat lets its occupants enjoy the sun. Beautiful shades can be drawn when the sun is too bright or left open when a little warmth is needed. Checks and floral patterns work well together, creating a soft design that beckons you to sit down and relax. You can easily frame out a window seat in an afternoon. Make your own architectural mark by adding a separate section to the front of the seat. You could add artwork, Plexi-glass, ceramic tiles, or anything else you'd like to feature. This is a fun way to create a one-of-a-kind window seat that is sure to be the focus of the room. For more window seat ideas, check out our selection of window seat plans, and get busy creating your new reading haven!